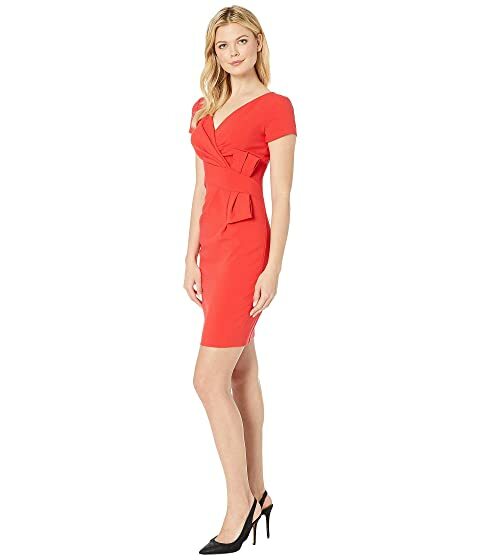 Brighten up your look with this stunning Adrianna Papell® Bow Waist V-Neck Sheath Dress. 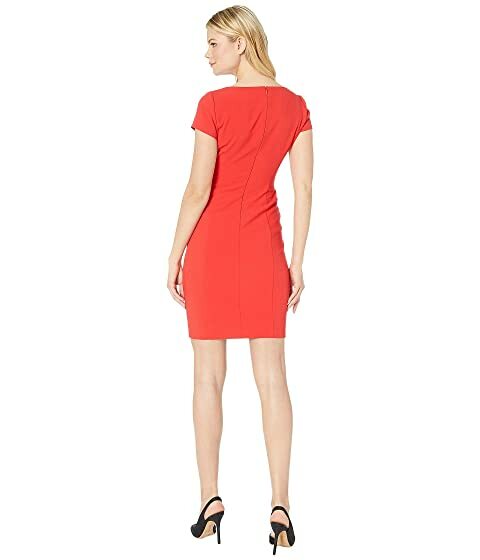 Party dress in a sheath silhouette. Vibrant solid colorway on a stretch viscose-poly fabrication. 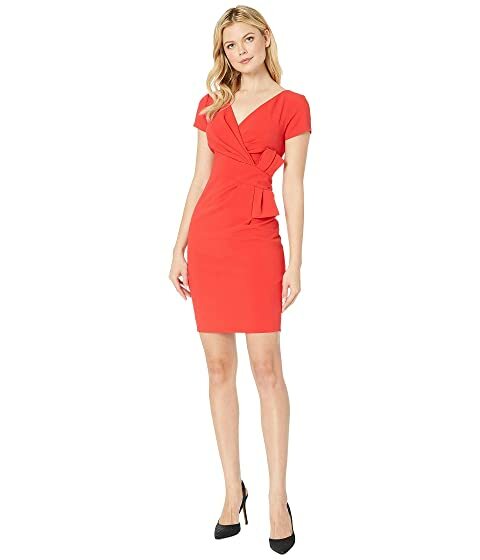 Wrap-inspired bodice flaunts V-neckline and short sleeves. Dramatic bow detail at side of waist. Straight hemline falls above his knees.